Far from “Death”; The Godfathers in 2017, with founder Peter Coyne at the far right, arms crossed. In 1988, four short words became an underground anthem for music fans, an angry declaration that asked about the meaning of life. 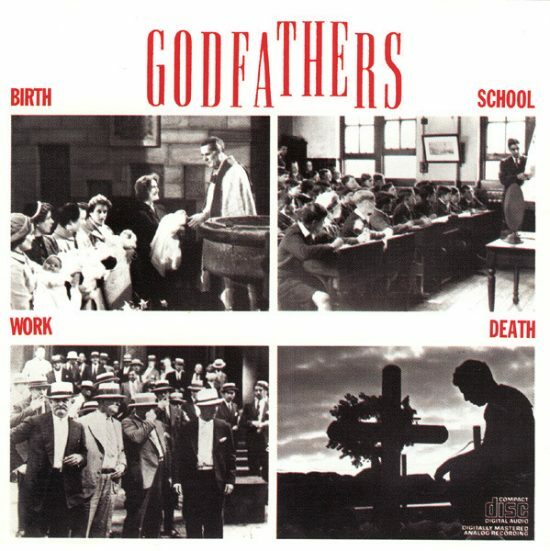 That incendiary song was “Birth School Work Death” and that band was the Godfathers. With “Birth” breaking the Billboard Hot 100, the band followed up with modern rock hits “She Gives Me Love” and “Unreal World,” and continued to record and tour with different lineups until the band called it quits in 2000. In 2008, founder & vocalist Peter Coyne reunited the original lineup, and a live DVD/CD and a few singles were released online over the next few years. Now in 2017, the turbocharged lineup of current members includes Coyne, guitarist Steve Crittall, guitarist Mauro Venegas, bassist Darren Birch and drummer Tim James. The band releases a bombastic new full-length album this month, A Big, Bad Beautiful Noise, full of their trademark snarling social commentary & full throttle guitar. Coyne talked to us about these new songs, the old videos, touring, Mick Jagger and more. GAMV: It sounds like you are no less angry than you’ve ever been. Peter Coyne: Thank you very much. There’s a lot to be angry about these days, though. There’s a lot to be angry about everywhere. GAMV: I’ll have to agree. What made you put out another Godfathers album now? Was it just the right time or was there something that sparked this? PC: This is what we thought would make really great songs for the last two years. And then, we started rehearsing them in the beginning of this year, with a view to making an album. Then all the fine ends tied together so we were ready to go to record in the summer. We recorded A Big Bad Beautiful Noise, the album really quickly. We went in for a week, recorded some stuff. Took a week off to think about and reflect – two weeks, I think. And then, we went back in for another week and then we finished off recording the album with one more week worth of recording. The timing was absolutely right to finish this album and release it. GAMV: A quick, truncated schedule like that — was that helpful or did that hinder you a little? PC: We love deadlines. We love deadlines in the group. 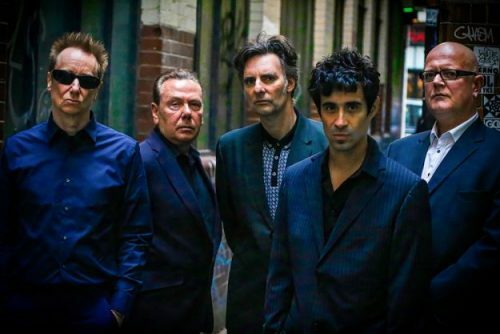 We’ve got fantastic line up for the Godfathers now. I think on stage and on record, I’m fine musically. We’ve got two great guitarists – Steve Crittall, Mauro Venegas. Between Steve and Mauro, we wrote the majority of the songs in the album together. I write the lyrics and they come up with the lyrics, contribute some of the music but everybody in the band contributed. Tim James, the drummer certainly did and Darren Birch on bass. We’re playing a lot of these numbers live. We played the Isle of Wight Festival which is like a massive festival, iconic festival even. We played a lot of big festivals in Europe. That was really cool to do, and we did couple of big ones in Germany and Belgium. These songs were tested really, a lot of them, not all of them before we went in the studio. We want to just be able to get in to record as quickly as possible, to get that immediacy to the sound that we were looking for. We don’t have a deadline. Even the Beatles have deadlines and even Sgt. Pepper had to stop at some point. They said, “Lads, that’s it. Time is running out. Got to wrap the album out. That is it.” I think a lot of bands spend too much time in the studio and I can’t hear the results. I just think it’s polished out of existence if you take too long to make an album. GAMV: Is it a different process to writing songs than when you started early in your career or do you basically write in the same way that you always have? PC: I probably write in the same way I’ve always have but I’m now a lot more about writing songs. I actually hear the record in my head now or before the songs have been rehearsed or recorded as to what it should approximately sound like. The Godfathers has been going, as you know, for over 30 years. We made some pretty good records for the past. I’m really proud of them. We’re not a nostalgic band, whatsoever. We love “Birth, School, Work, Death”. We love “This Damn Nation”. We love “She Gives Me Love,” “Walking Talking,” “Johnny Cash Blues,” “Unreal World” – all those songs are fantastic. The most important albums for the Godfathers is always the next record. That’s what keeps us going and that’s what makes us tick as a band. Now, A Big, Bad Beautiful Noise was really important to us obviously. 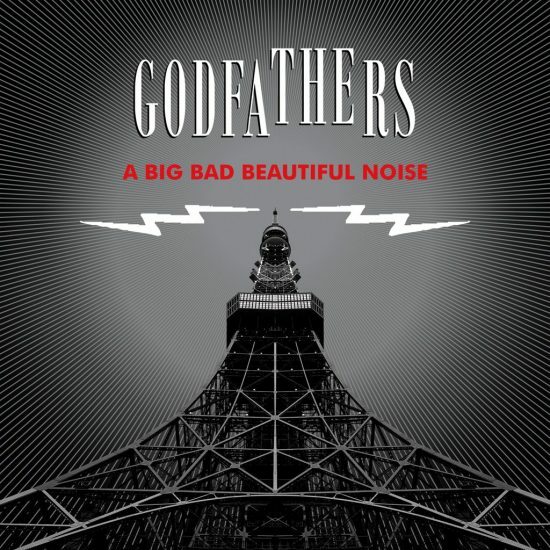 How that title came about was people used to ask me in interviews, “How do you describe the sound of the Godfathers?” More often than not I would say, “It’s a big, bad beautiful noise.” I happened to read one of these interviews with that phrase in there. I looked at it in cold black and white print and I thought, “There’s something to that phrase. That’s telling me something. That sparks something in my head.” I started writing lyrics straight away and came up with what I thought were good verses, chords and what have you. I started working on it again with Steve Crittall, our guitarist from the band. And straightway we knew we had something special. In essence, I get a lot of inspiration through reading books, watching the news as I’ve always had throughout the career of the Godfathers. Practically all the lyrics to “Birth School Work Death” were taken from newspaper spreads, tabloid headlines at that time – headlines that jump out at me — “a million mums are hooked on valium”, “a generation raised on poverty”, “we’re living under a false economy”. Those headlines went straight from tabloid headlines, straight to a Godfathers’ song. It’s still just as relevant now as it was then, unfortunately. GAMV: Do you find there’s anything different that you are wanting to talk about in your songs now? Or does history repeat itself? That’s what the Godfathers try to do from time to time is write songs about exactly what’s going on. A couple good examples will be the title track of A Big Bad Beautiful Noise, certainly “Miss America” off the new album that was written in the summer before we knew who’s going to win the U.S. selection. A lot of people were asking questions about America and they want answers. This is another question that we’re going to throw in the mix as well. It’s not to put down America, it’s just our take on what’s going on. Final song on the album called, “You and Me Against the World,” that sort of relates to a couple of things. One of them musically relates to the death of David Bowie which was a massive shock to myself and millions and millions of people around the world. Bowie was a good supporter of the Godfathers. He came to see us twice and it was such a privilege to meet him. He wants to sign us up to his label in America. It was a lot of things to discuss but anyway, he came to see us twice and he was a real proper gent. He’s from South London, near enough exactly where I’m from in South London. We’ve got along like a house on fire. I cried when I heard David Bowie was dead. The year started off the year like that, and we took to that musically for the song “You and Me Against the World.” It’s all that political fallout from Brexit that’s affected everything in the UK. There’s a massive uncertainties on what’s going to happen for the future. The song itself, it starts off dark, real dark and it finishes really beautiful. At the end of day, it’s about triumph and a love song. It just shows you what you can do if you actually stick together with the people you love. Love is the glue that holds the whole world together. The Godfathers never been ashamed to write love songs as well as writing angry, social comment numbers. That’s life. That’s how we deal with it anyway. GAMV: How is playing live recently compared with earlier on in your career? Are the crowds different? Do you feel different? PC: We can play pretty much everywhere for the people who liked us before and sometimes they bring their kids along with them as well. Their sons and daughters love it. Sometimes the grandsons and granddaughters love it too. GAMV: It must be quite a kick to see kids of the fans coming out. PC: It’s lovely. It’s pretty cute. You’ve got an 8-year old kid and they’ve drawn pictures of you. The pictures are taken backstage with the band. We just really look after those people and their families. We all spend the time to get pictures taken, to give them t-shirts or just something special they couldn’t get from anywhere else. A couple of girls who came along the festival who came from France, again that was so cute. They were eight and nine years old. They really love the music. They’re going mad to it. Kids don’t lie. They like it or they don’t like it straightaway. And these kids were hopping up and down and going mental, so this is lovely. And that’s part of being in the band of 50-odd years. They’re still enjoying themselves. That’s what I like about the Rolling Stones. Compared to the Rolling Stones, we’re quite young. GAMV: I’d like to talk for a moment about the videos from the early days. I had a chance to talk to Tony van den Ende. He told me something that I did not realize and I wasn’t sure if you guys had ever talked about this. The scenes in the “Birth School Work Death” video where you’re sitting at the desk are actually modeled after the movie Performance where Mick Jagger’s sitting at the giant desk there. PC: Yeah, yeah. I think it’s from “Memo from Turner”, the movie. GAMV: Do you remember anything about when you guys were shooting at, there was something somewhat memorable about that? What was the first one that you shot? PC: First video? We shot a bunch of videos before that one. We shot one for “I Want Everything” and one for “Love is Dead,” both of those are up on YouTube. “Love is Dead” was the last single on their own label before we signed to Epic records and then we released “Birth School Work Death”. “Birth School Work Death” video was Tony van den Ende and it’s pretty good. It won a whole lot of nominations at the time as I remember. There was four artists up for “International Band of the Year” or something like that on the MTV awards. It was Guns N’ Roses, somebody else and somebody else and us. Obviously, Guns N’ Roses won because, you know, MTV is American. You know what I mean? That Jagger thing in “Birth School Work Death”, the whole thing about that Performance movie, which is a fantastic film, is the gangster played by James Fox turned into rock star that’s played by Mick Jagger. Mick Jagger, a big rock star turned into a gangster. There’s a little bit of that going on in the video as well. There’s also some stuff by artist Keith Haring that keeps popping in the video. I don’t know if people noticed that ever. We wanted to use a lot more but we couldn’t get the artist’s permission. It’s a lot of fun doing the video. I’m happy about with Godfathers’ music and lyrics is I think they’re quite universal. They don’t just work in Los Angeles, Berlin or London or Greece. “Birth School Work Death” is applicable anywhere. I’d like to think A Big, Bad Beautiful Noise will be applicable anywhere or any of the songs off that album. We deal with universal themes. We’re not trying to be clever about anything. We just want to have our say. At the end of the day, all these songs, they’re entertainment. It’s rock and roll music. It’s not exercises that you can study at college or anything like that. Although, some people have written thesis on Birth School Work Death and what it actually means. There’s a lot of black humor involved in Godfathers songs. To me, “Birth School Work Death” is like Monty Python. In fact, they did a little bit of that in The Meaning of Life. PC: Yeah. There’s lots of things like that. “Birth School Work Death” has been covered in about seven or eight different languages – French, Spanish, Japanese, Finish. All kinds of things have come up as just a result of that one number. I supposed the question in “Birth School Work Death” is “Is that all there is to life?” The answer to that surely is “No.” And then you fill in the dots yourself. GAMV: I wanted to ask you about just one other video, the “She Gives Me Love” video. Was that directed by Don Letts? PC: Yeah, Don Letts. He’s the original DJ at the Roxy Club in London. He’s the member of Big Audio Dynamite. He’s quite a respected filmmaker now himself. GAMV: I was just going to say I interviewed Don a while back, just about videos and general. He’s quite a character and he’s full of amazing creativity and a real revolutionary when it comes to his political positions. I imagine you guys got along real well. PC: We pretty did. I’m not going to say we’re best friends or anything like that. He’s quite a funny character. I mean funny in all sense of the word. GAMV: I was just wondering if there’s anything you remembered from that particular shoot besides Don because he sure doesn’t look like anybody else probably directing videos at that time. PC: I like bits of that video. I don’t like all of it, if I could be honest with you. He forced a girl, she’s the female emblem in the video, on to us. We never met her before. We’re like, “Who is this one?” It was Paul Simenon’s girlfriend. It was Patricia or something. Our idea as, “No, we wanted our girlfriends in the video. She gives ME love, not her.” You know what I mean? But for me, it was not real because it’s not our girlfriends but they’re not our girlfriends anymore so that would be quite embarrassing. Maybe he did us a massive favor there. GAMV: Are there any other videos that you did that come to mind as memorable experiences? Imagine there might be but I wouldn’t know which ones to ask about. PC: There’s a video for a song on the new album. It’s called “‘Til My Heart Stops Beating.” I think that’s a really good video, great song as well. That’s up on YouTube. PC: My favourite video though the Godfathers have ever done is for the song called “Strange About Today”. I can’t explain it. It’s shot in black and white. It’s got a ventriloquist dummy in it. The Godfathers had stockings over their heads. It’s filmed in a deserted mental hospital and it’s just really good. Check it out yourself and see what you think. A Big Bad Beautiful Noise is being released on February 10, 2017.